Take it from us, Turkish cuisine is one of the best in the world, and not by accident, one of very pure quality. Kebaps reign supreme in Turkish cuisine with almost every part of Anatolia (east of Istanbul) having its own kebap specialty. Lamb is the basic meat of Turkish kitchen. Pieces of lamb threaded on a skewer and grilled over charcoal form the famous “Sis kebab”, now known in many countries of the world. “Doner kebab” is another famous Turkish dish, which consists of a large roll of lamb placed on a vertical skewer turning parallel to a hot grill. The word doner means “turning” in Turkish, which is what the meat does as it grills. There are many other lamb and minced meat dishes that make up the variety of Turkish meals. Frequently used ingredients in Turkish specialties include: lamb, beef, chicken, eggplants, green peppers, onions, garlic, lentils, beans, and tomatoes. Nuts, especially pistachios, chestnuts, almonds, hazelnuts, and walnuts, together with spices, have a special place in Turkish cuisine, and are used extensively in desserts or eaten separately. Preferred spices and herbs include parsley, cumin, black pepper, paprika, mint, oregano, pul biber (red pepper), allspice, and thyme. Turkish cuisine is largely the heritage of Ottoman cuisine, which can be described as a fusion and refinement of Central Asian, Caucasian, Middle Eastern, Mediterranean and Balkan cuisines. Turkish cuisine has in turn influenced those and other neighboring cuisines, including those of Central and Western Europe. The Ottomans fused various culinary traditions of their realm with influences from Levantine cuisines, along with traditional Turkic elements from Central Asia (such as yogurt and mantı), creating a vast array of specialties—many with strong regional association. 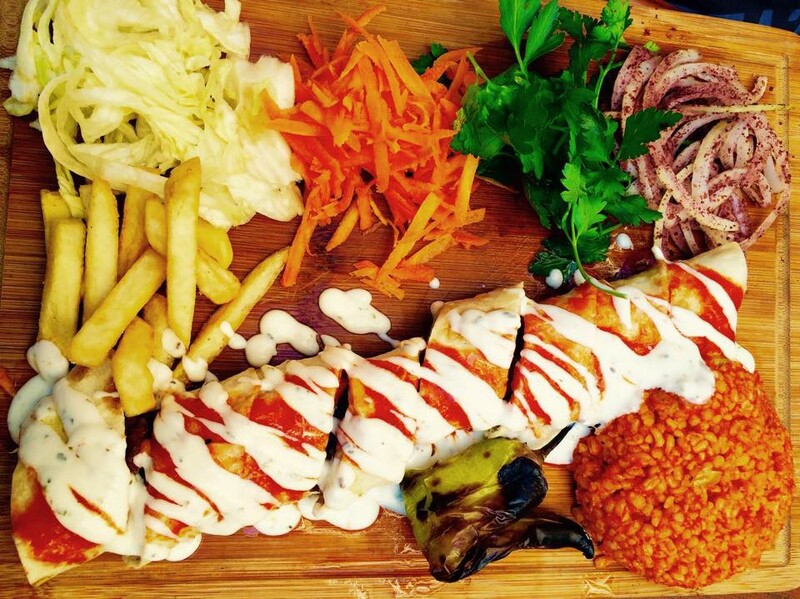 Read more about the 27 Delicious Turkish Foods Everyone Must Try, most of them you can get at Harem Istanbul, or take a look at our mouth watering menu with descriptions of each dish, or keep it simple and just come on down and try for yourself! And for those of you who want a perspective from a talented home cook and expert on the products, recipes and seasonal specialities of Turkey, be sure to check out A Seasonal Cook in Turkey, organized by Claudia, a friend of Harem Istanbul Cafe & Restaurant.